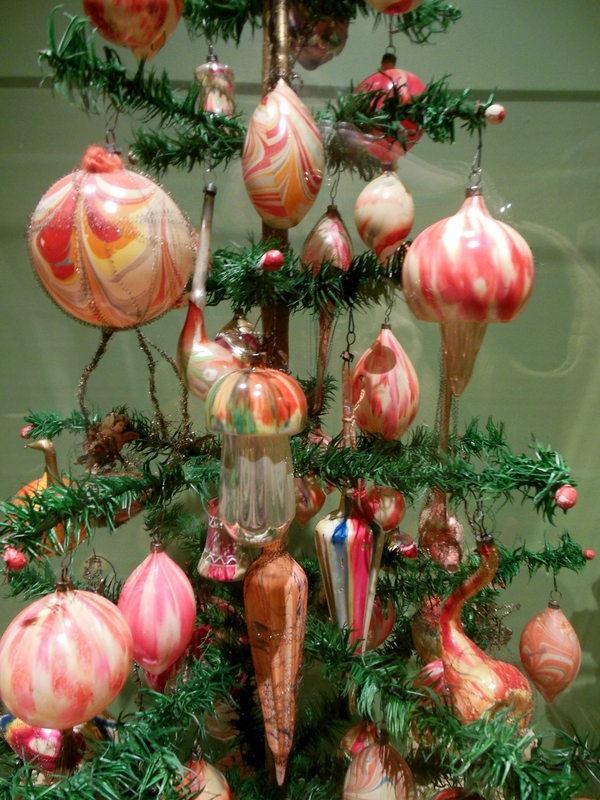 The halls of the Taft Museum in Cincinnati might not be decked with boughs of holly, but they’re certainly garlanded with lush evergreens and filled with Christmas trees decorated with charming vintage ornaments. 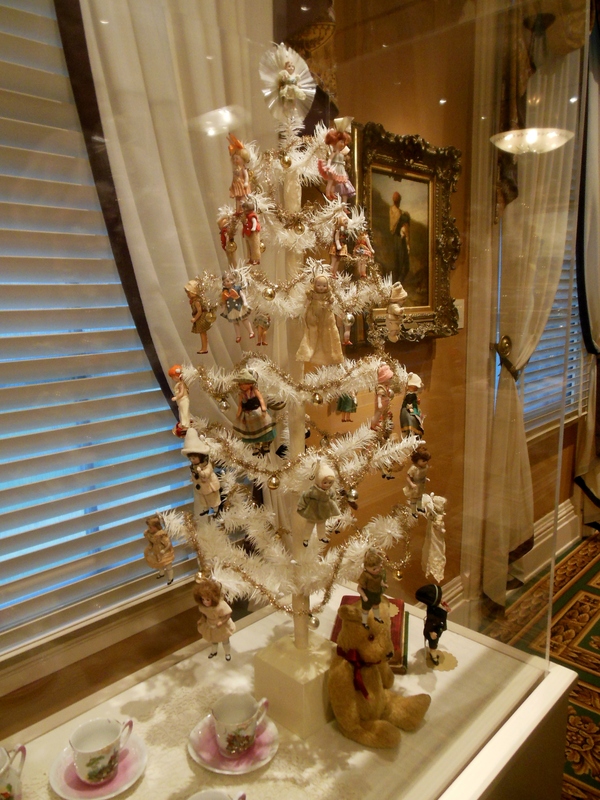 Whether you’re regular Taft Museum-goers or a first-time visitor, there’s always plenty to admire in Antique Christmas, the museum’s annual display of antique ornaments, decorations and toys. Here are some of our favorites. Several feather trees are adorned with unique ornaments. One celebrates clowns, another is a nesting ground for birds, and a third is covered in mushrooms. Sweet little German dolls dressed in festive folk costumes hang from a white feather tree garlanded with antique tinsel. and those made from beautiful swirled glass. 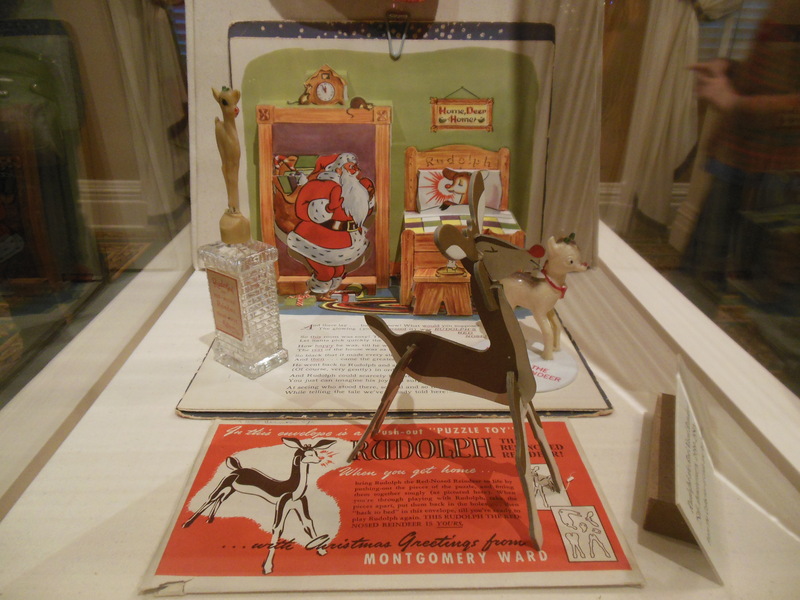 A Rudolph the Red-Nosed Reindeer display celebrates the 50th anniversary of the stop-motion animated television special narrated by Burl Ives that is being commemorated this year. 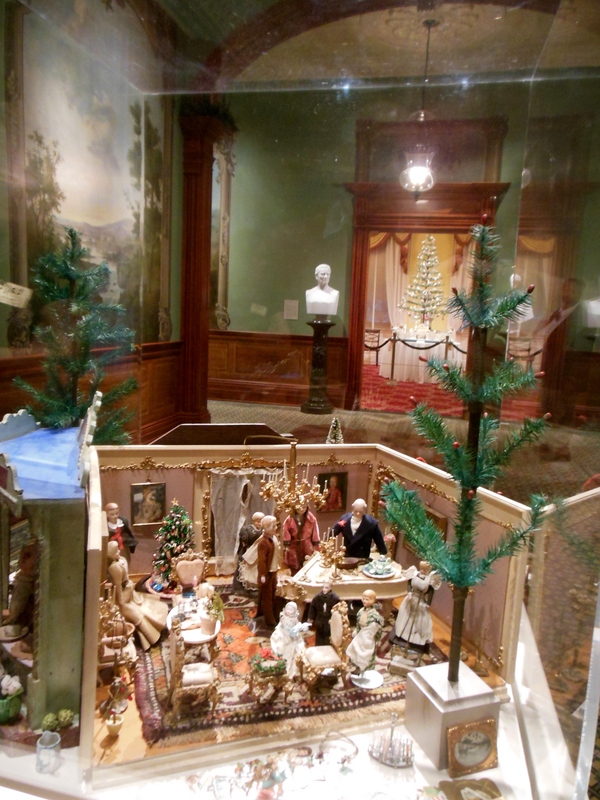 Displays of antique pull toys, nodding toy reindeer from Germany, Santa figures and miniatures will also put you in the holiday spirit. 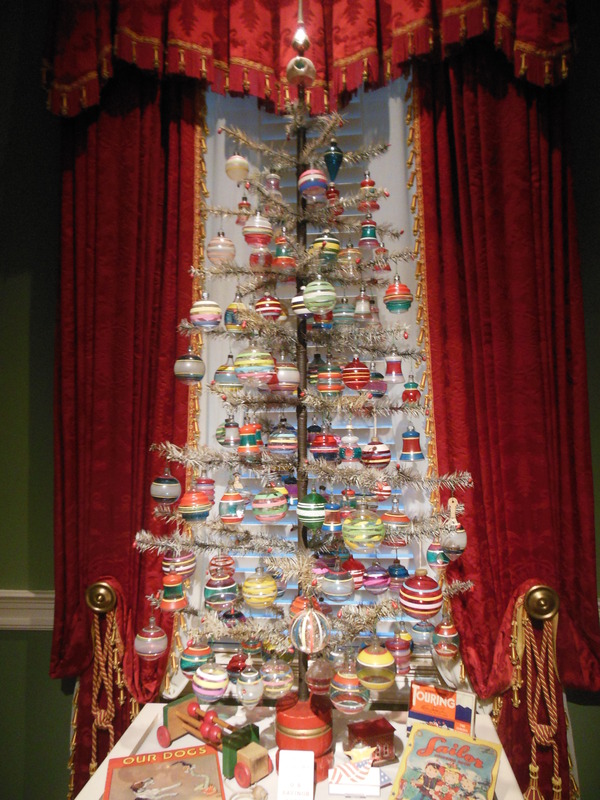 Antique Christmas isn’t the only special exhibition to see at the Taft Museum. Paris Night & Day: Masterworks of Photography from Atget to Man Ray includes vintage prints by famous photographers who worked in Paris, while Black, White, and Iconic: Photographs from Local Collections features 10 works by photographers like Edward Steichen, Alfred Stieglitz and Ansel Adams. To complement Paris Night & Day, The Public Library of Cincinnati and Hamilton County partnered with the Taft to offer a community-wide read-along of The Bones of Paris, Laurie R. King’s suspense novel in which Man Ray and other historical figures appear. 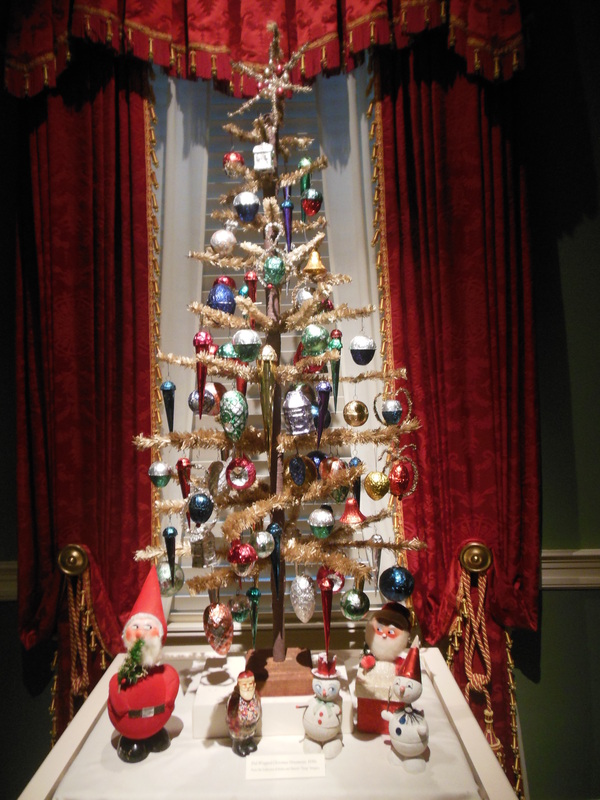 Antique Christmas continues through January 4, 2015. The photography exhibitions will be on view through January 11, 2015. 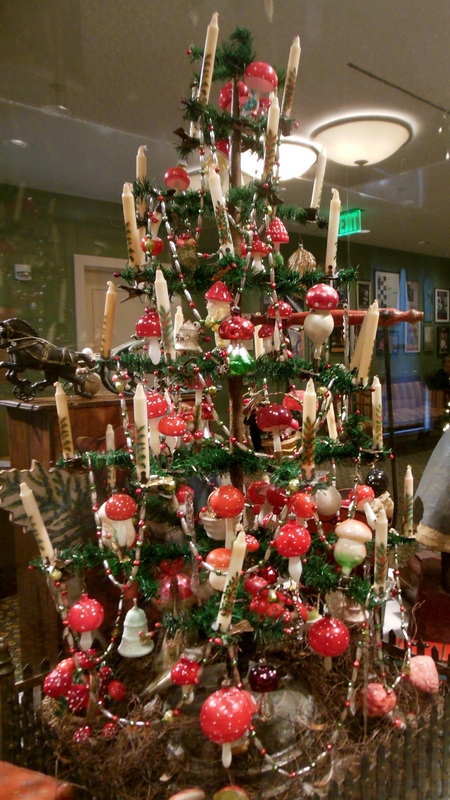 This entry was posted in Cincinnati, Holidays, Museums. Bookmark the permalink. Making Bombs And Breaking Codes…In Dayton? Here are some of my favorite books. Are any of them on your bookshelves?